Imagine being a thirteen-year-old girl in love with boys, school, family—life itself. Then suddenly, in a matter of hours, your life is shattered by the arrival of a foreign army. You can no longer attend school, have possessions, talk to your neighbors. One day your family has to leave your house behind and move into a crowded ghetto, where you lose all privacy and there isn't enough food to eat. Still you manage, somehow, to adjust. But there is much, much worse to come... This is the memoir of Elli Friedmann, who was thirteen years old in March 1944, when the Nazis invaded Hungary. It describes her descent into the hell of Auschwitz, a concentration camp where, because of her golden braids, she was selected for work instead of extermination. In intimate, excruciating details she recounts what it was like to be one of the few teenage camp inmates, and the tiny but miraculous twists of fate that helped her survive against all odds. 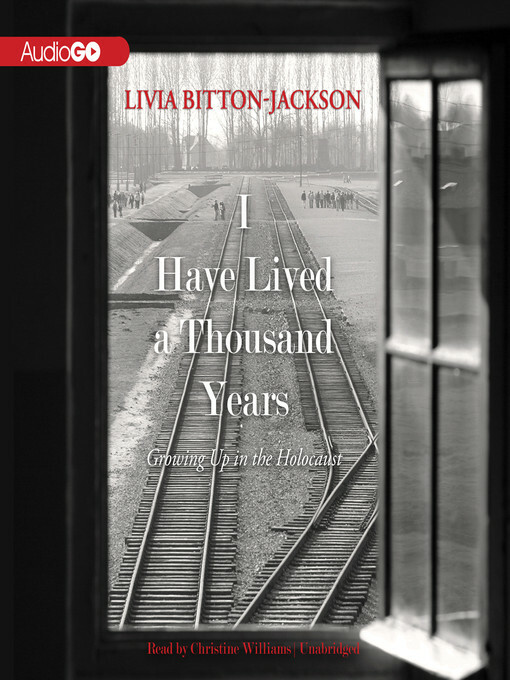 I Have Lived a Thousand Years is a searing story of cruelty and suffering, but at the same time it is a story of hope, faith, perseverance, and love. It will make you see the world in a new way—and it will make you want to change what you see.